When Elise took a fall a few months back and landed straight on her face, we knew it was bad. A few dentist visits later and sure enough: a root canal was needed on one of her front teeth. Today, we attempted a root canal on a non-anesthetized toddler. Click on “Read More” to see how Elise (and Mommy) fared during the visit. Update: I’ve had a lot of questions on this through many mediums, and I wanted to update this post with the proper procedure name in case anyone else is preparing their child for it. The procedure done was a therapeutic pulpotomy. Now back to the original post. It sure did twerk my nerves to see our two year old sitting in such a big chair for such a big reason. After she took her big fall though, we knew it was inevitable that we’d be back here sooner than later. Here she is cracking up up the dentist, the technician and the mommy looking at an x-ray as if she knew exactly what it was showing! She didn’t like the nitrous apparatus on her face, even though it was dishing out gas that smelled like strawberries. She liked that part, just not the thing sitting on her face. In order for her to relax, I suggested that I get in the chair and Elise lie on top of me. I was able to soothe her with my voice, hug her, and congratulate her during the whole process. 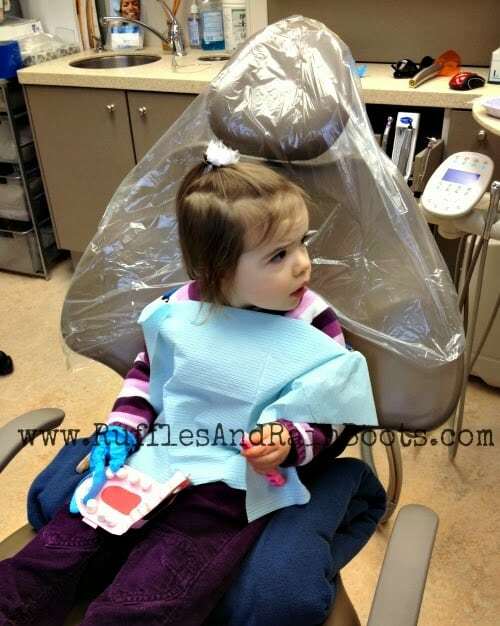 It took an hour to get the root canal and the final x-ray, and Elise was so calm during the entire visit. She did get antsy at about the 30 minute mark, but some soothing words and a cuddle (so easy when she was lying on top of me) did the trick. After the procedure, the dentist looked so relieved and it occurred to me that she might have been more anxious than Elise or I! She had never performed (successfully) that procedure on such a young patient, because most get quite antsy and cannot remain still for so long. I couldn’t thank her enough for her skill through so many years of practice. Nearly speechless, I was just so thankful for her and her technician because the successful completion of this in-office visit meant that we didn’t have to anesthetize our baby! That was the biggest reason we went ahead and tried this today – we were just so scared of putting those kinds of drugs in such a young body. And we are grateful we didn’t have to! 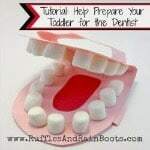 We prepped for this visit the same we did her first appointment (read about that here if you are prepping your toddler for their first dentist appointment). In the picture above, you can even see her mouth model, toothbrush and blue glove! For a couple of days prior to the visit, we talked about her dentist, the dentist’s assistant, the ladies in the office (such a great team), and having to keep our mouths open as ‘wide as a crocodile’ while they worked on her teeth. We discussed how we were going to have to be still for a long time and how when we were done, her sick tooth was going to be healthy. Needless to say, she got a few coins for her outstanding visit today and was able to take home a little dog, a cat and an alien for her sensory bin. 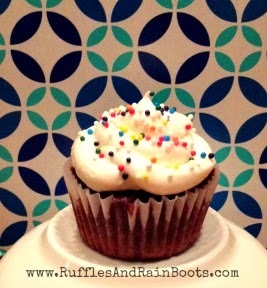 Although we very rarely give her treats like this – she’s only 2, after all – she got a miniature red velvet cupcake with cream cheese icing and rainbow sprinkles. She licked the icing, picked off and ate the sprinkles and only took one bite of the cake. I can live with that. Oh, and the best part? She loved brushing her teeth afterwards and telling Daddy how she was “so good” at the dentist today. Yes, baby. You were great! Let us know in the comments section if you have been down this path or just let us know you stopped in to say hi. We love hearing from all of you! Just stopping to say hi. I was very intrigued to read the whole article. 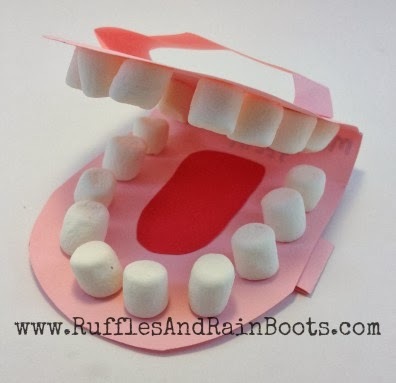 You did a great job prepping Elise for the root canal. 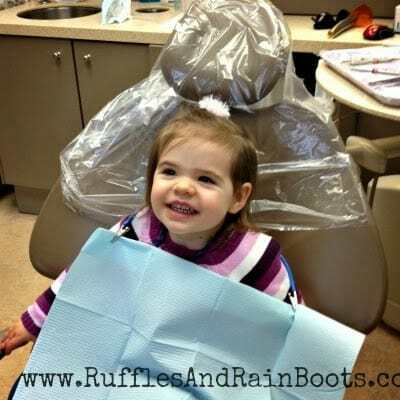 Just think a root canal on a two year old. I am much much older and the thought of a root canal sends shivers down my back and makes my hands perspire. Also one has to compliment the doctor who did a great job. Hope you do not have to go through that again. Thank you so much! It is scary to me as well and I’m very thankful that her disposition allowed it. 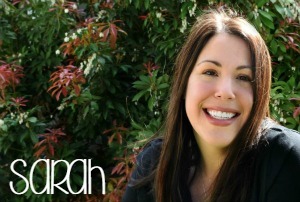 We are so lucky to have found such a great dentist in Dr. Saturay (in West Seattle). Elise just feels so at ease with her and her staff! Thanks for stopping by! OK so now we have 1) a Mommy dot and a Baby dot AND 2) a Mommy front tooth root canal and a Baby front tooth root canal. Congratulations on a second successful dentist’s visit.